Red cabbage juice indicator. Red cabbage juice changes its colour depending on the pH of the solution. 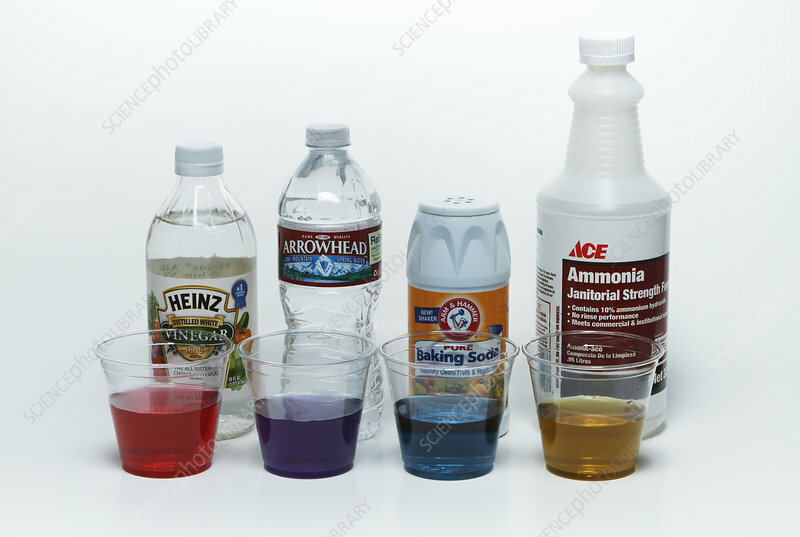 Here red cabbage juice was added to a to various household solutions: vinegar (acidic), water (neutral), baking soda (alkaline) and ammonia (alkaline).